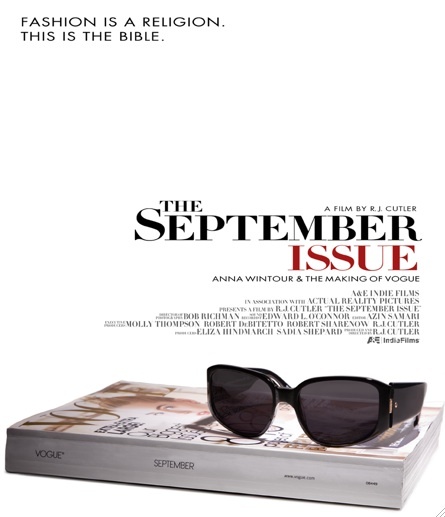 If you like fashion, or the movie The Devil Wears Prada, you will love the documentary The September Issue. It follows around Anna Wintour and her staff as they put together the giant September issue of Vogue. It is fascinating to get a peak into that world and see how they do what they do. Perhaps the most interesting thing is that that world looks and feels a lot like the one created in The Devil Wears Prada. Plus it is visually interesting. The 89 minutes fly by far too quickly. Previous Article But enough of all that, what’s on TV? Next Article How Cute is This? I would love to see this film but will probably wait for the DVD. Glad you liked it.